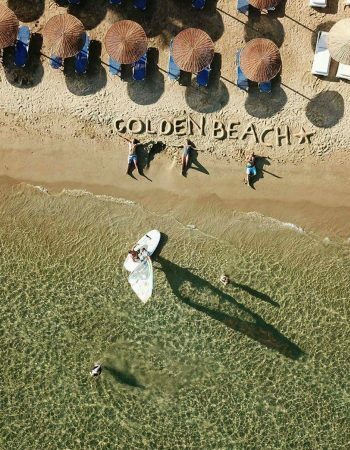 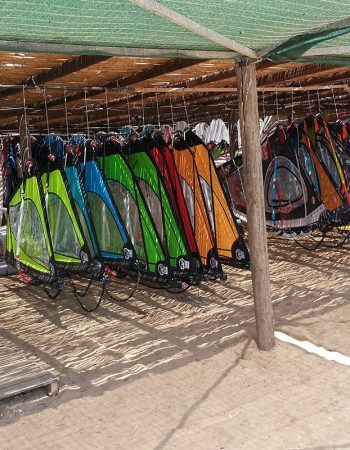 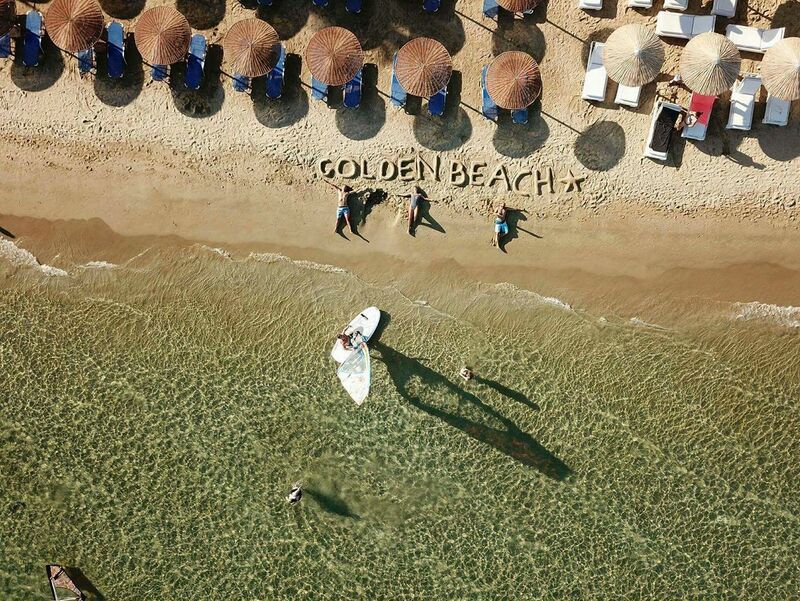 Golden Beach is a famous windsurfing spot and our windsurfing station is located on the right side of this long beautiful beach, offering equipment for rent and also experienced staff for private or group lessons. 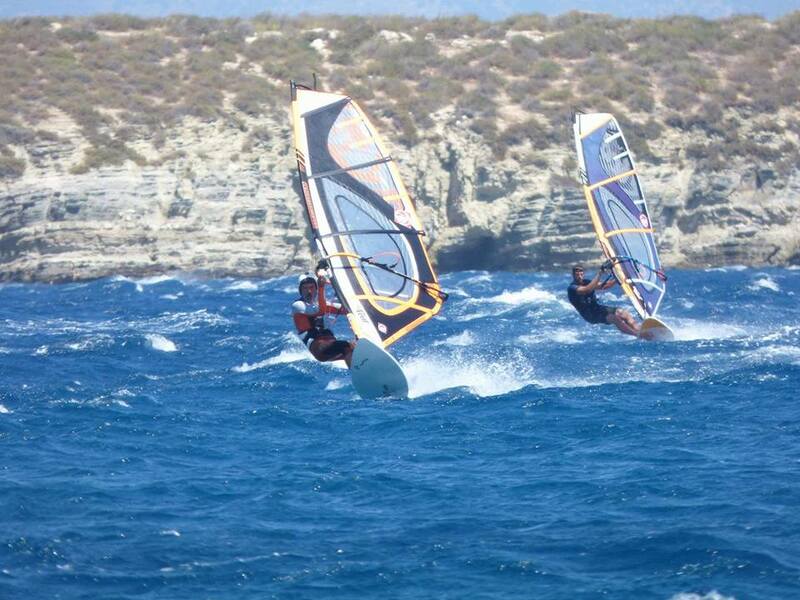 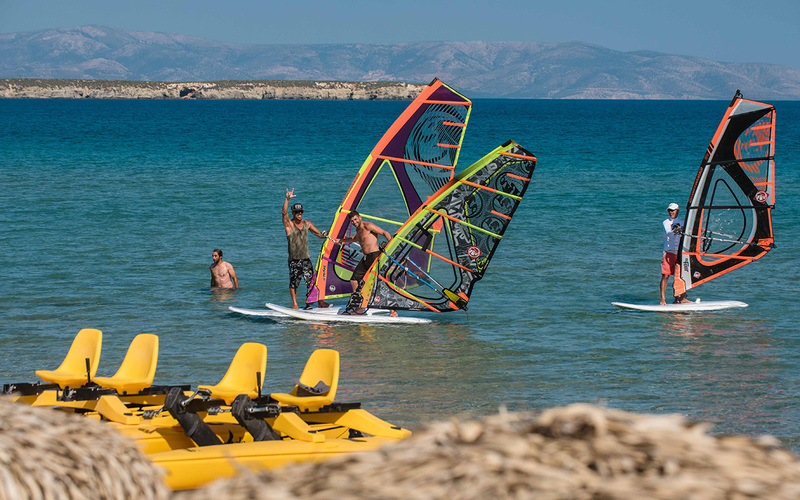 Our spot offers excellent conditions to all levels of windsurfers and our windsurfing station offers equipment for all levels. 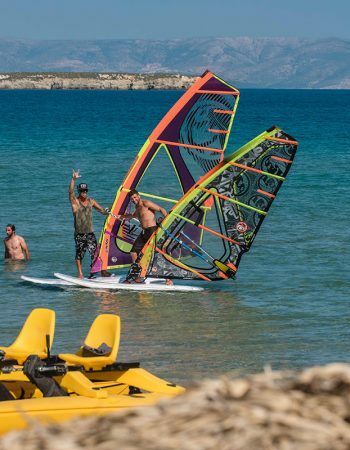 In order to make the first steps as easy as possible for a windsurf beginner, our instructors use very light-weight school rigs which help beginners to gain more control. 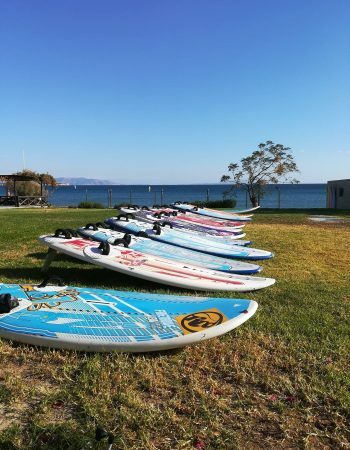 You can pick and choose your equipment depending on the conditions, your progression through your stay, and even your mood! 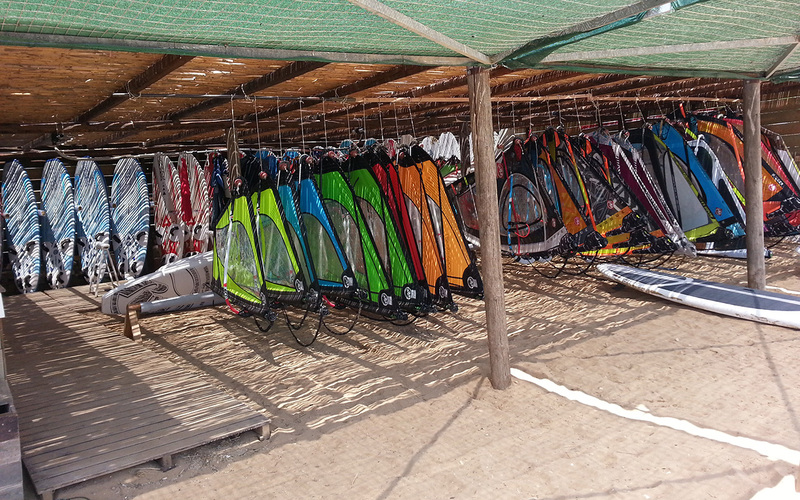 All sails are ready to go with booms and adjustable harness lines! 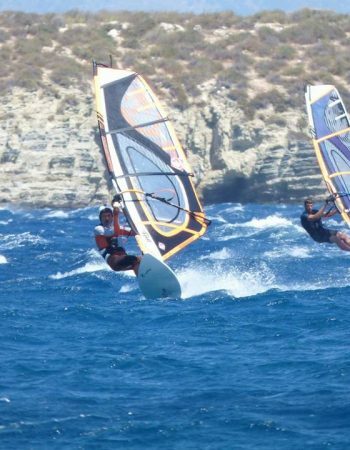 To ensure maximum performance most of our sails are rigged with skinny masts. 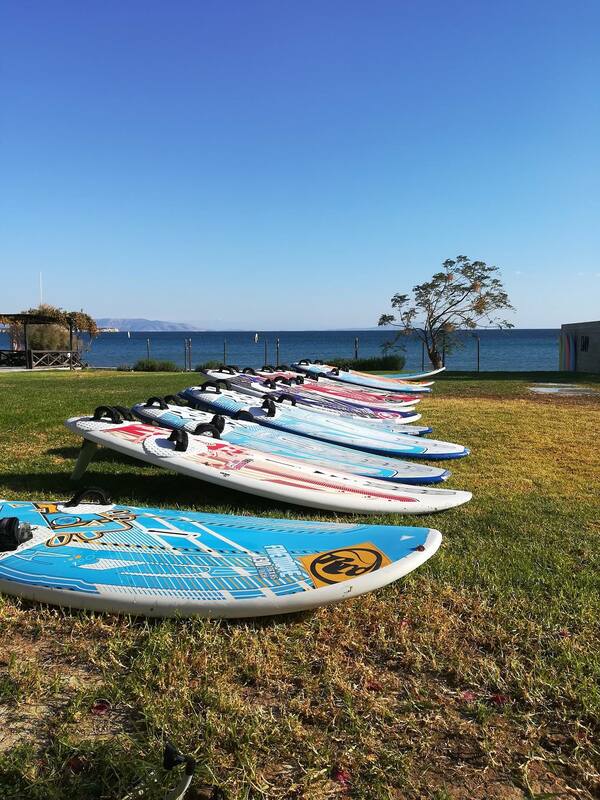 Canoe-kayaks and sea bicycles are also available for rent for the days it is not windy… Check out our special offers including accommodation and car rental or make your own package with windsurfing.